Taking timely backups of your WordPress site help you to save time and secure your data. We will show you a few ways to take backup of your WordPress site. If you are installing a theme, plug-in or modifying any files belonging to your existing website on which you have invested time, money and effort. It’s important to back up your website and save yourself the effort of setting up the site again from scratch if anything goes wrong. 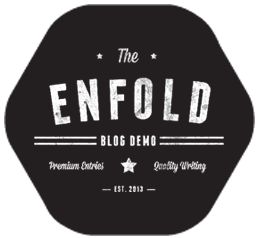 Enfold uses custom fields (post meta data) to store the template builder data. Thus you must be careful if you want to export/import pages with plugins like WP Import/Export All because by default the plugins will not export/import custom fields. However it’s really easy to add these fields to the export/import file. If you’re using WP Import/Export All go to “All Export > New Export” on the wordpress admin page and select the post type you would like to export (i.e. “Pages”). Then click “Continue to Step 2”. On the next page you’ll notice the “Available Data” column on the right side. It contains three tabs (“Standard” for standard data, “Custom Fields” for post meta data and “Other” for other data fields). Note: In some cases (i.e. if you’re using complex template builder layouts) you need to export additional fields – we recommend to search for all custom fields which contain the prefix “_avia” – these fields are always required. After you added all required fields to the left area click on “Continue to Step 3” and then click the green “Confirm & Run Export” button. After the export process has finished click on the “Bundle” button to download the export files. The “Bundle” also contains a configuration file which automatically configures the import script if you want to import the data on another website/server. To import the “Bundle” go to “All Import” > “New Import” on the wordpress admin page and click on the “Upload a file” button. The “Bundle” configuration file will automatically select the right post type for you and you just need to click on the “Continue to Step 2” button. You can ignore the next settings page and click on the “Continue to Step 3” button. On the next page you’ll notice that the “Custom Fields” tab at the bottom is already configured and contains the custom fields you exported before. Check if necessary fields are configured, then click on “Continue to Step 4”. On the next page click on “Continue”, then “Confirm & Run Import” and the import process will start. 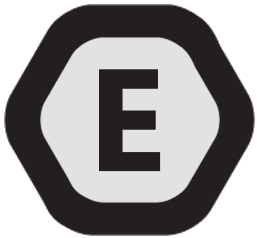 That’s it – you have successfully exported/imported your entries including the Enfold template builder data.